(WBIR) One of the oldest practices in US history is making some big changes. Customers are now receiving packages from the United States Postal Service on Sundays. During the Thanksgiving and Christmas Holiday season, the US Postal Service partnered with Amazon to bring customers deliveries all 7 days of the week. After seeing a lot of success, the practice is continuing into 2015. But for those in the postal business, it’s a big change from everything they’ve ever known. via Sunday deliveries bring changes and challenges to United States Postal workers. The 114th Congress was sworn in on Tuesday, and in the House of Representatives, Reps. Sam Graves (R-MO) and Gerry Connolly (D-VA) wasted no time in renewing their commitment to preserving six-day mail delivery by quickly introducing H.Res. 12. One of the first pieces of legislation introduced in this session of Congress, H.Res. 12 is identical to previous sessions’ resolutions that called on Congress and the Postal Service to take all appropriate steps to continue six-day mail delivery. The current resolution already has 45 co-sponsors (see below). The last version, introduced early in the 113th Congress (2013-2014), wound up with 228 co-sponsors from both political parties. “We are encouraged to see our friends in Congress once again take up the fight to maintain Saturday mail delivery service,” NALC President Fredric Rolando said. “We hope that the rest of the members of the House and Senate see any attempts to eliminate this or any other postal service for what they truly are: short-sighted excuses for failing to address an onerous pre-funding mandate that perpetuates a cut-cut-cut mentality. via 6-day resolution re-introduced as Congress convenes | National Association of Letter Carriers AFL-CIO. The omnibus spending bill that appears set for approval by Congress this week continues the long-standing requirement that the USPS continue to deliver mail six days a week. The bill also directs the PMG to report to Congress within 90 days on steps the USPS will take to improve postal worker safety; and encourages (but doesn’t require) the USPS to complete impact analysis and outreach before closing any more plants. “The Postal Service is set to make severe cuts in mail delivery service that, if implemented, would cause hardships for customers, drive away business, and cause incalculable harm to its reputation,” NALC President Fredric Rolando said. This January, USPS plans to close or consolidate operations at 82 mail processing and distribution centers throughout the country. Such a move would practically eliminate overnight mail delivery—even from one address to another within the same city or town. “This plan would sacrifice service while failing to address the real causes of the Postal Service’s financial problems,” Rolando said. The agency’s reported “losses” actually are the result of a 2006 congressional mandate that forces it to set aside each year billions of dollars—money that’s raised solely by the sale of stamps and postal products, not taxes—to pre-fund the health benefits of future retirees. No other government agency or private enterprise is required to pre-fund such benefits at all. Absent pre-funding, the USPS has earned more than $1 billion in profit from operations in 2014. Rolando is encouraging active and retired letter carriers to work with and support their sisters and brothers in the American Postal Workers Union, National Postal Mail Handlers Union and National Rural Letter Carriers’ Association on Nov. 14. Why Nov. 14? That’s the date of the Board of Governors’ final public meeting of 2014. Postal workers all across America will use this day of action to send a message to the Board of Governors and Congress that these proposed service cuts are unwise and unnecessary. Click here to read a letter signed by Rolando and the presidents of the other three unions. SAN DIEGO – The Postal Reform Act hopes to revamp the financially-strapped U.S. Postal Service, which last year posted a $5 billion loss, but two proposals in particular are drawing negative attention. One is a proposal to stop Saturday delivery and the other would be to stop home mail delivery altogether. "Buried in the bill is a section that would create cluster mail boxes for all neighborhoods, and that’s just not a practical solution," said local Rep. Susan Davis. Davis has introduced a resolution to block the cluster box idea and to block any attempt to for the post office to charge a fee for continued home delivery. Read more: Postal reform bill seeks to save agency money: 2 proposals drawing consumer anger – 10News.com KGTV ABC10 San Diego. July 16, 2014—The full House of Representatives voted Wednesday to preserve six-day mail delivery appropriations language by passing H.R. 5016, the Fiscal Year 2015 Financial Services and General Government (FSGG) appropriations bill. The base bill was introduced last month without the six-day provision, which has been part of appropriations bills for decades. But following extensive lobbying efforts nationwide, that language was successfully reinserted into the bill that was approved on June 25 by the House Appropriations Committee, thanks to an amendment co-sponsored by Reps. José Serrano (D-NY) and Tom Latham (R-IA). Additionally, House Oversight and Government Reform Committee Chairman Darrell Issa’s (R-CA) last-ditch attempt to remove the language during the House rules process was defeated earlier this month. “Today’s victory is a major one for the NALC and our activists who have pressured lawmakers—and continue to pressure them—to support six-day mail delivery,” NALC President Fredric Rolando said. Read more: Six-day mail clears major hurdle. 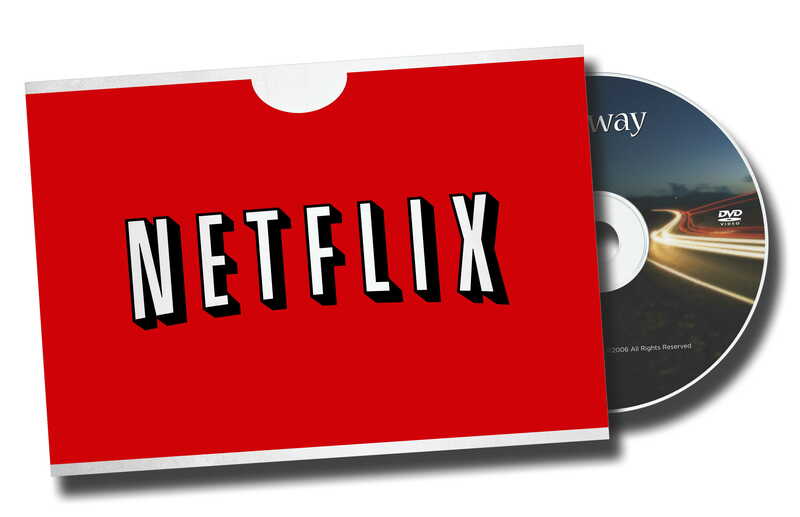 Engadget and several other media outlets report that Netflix has quietly stopped processing DVD shipments on Saturdays- going to a five day a week schedule for mailing the discs to customers. The USPS may not have gone forward with its plans to kill Saturday mail delivery, but Netflix isn’t waiting. A few customers have noticed it’s no longer processing shipments on Saturdays, opting for a five day schedule instead. Company spokesman Joris Evers tells Engadget that it’s been transitioning in that direction over the past year and ended Saturday processing (usually a low volume day) entirely in early June. 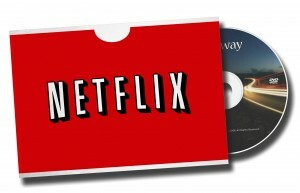 Read more: Netflix already stopped mailing DVDs on Saturdays, but you probably didn’t notice. Mrs. Kennedy expressed her commitment to helping the Postal Service survive and warned that further cutbacks could hurt the already embattled agency. “Anytime you have a cutback in service in any way, whether its delivery standards, whether its daily delivery, you know six days a week…I think it’s a black eye. I think it hurts us, and we want people to feel that the postal service is excellent in every way,” Kennedy said. Read more: 630WPRO.COM | The Voice of Rhode Island – Vicki Kennedy Testifies on Capitol Hill [From ABC News]. APWU News July 9, 2014 – Rep. Darrell Issa (R-CA), Chairman of the House Oversight and Government Reform Committee, can’t seem to give up his quest to eliminate Saturday mail delivery. On July 8, upset that the House Appropriations Committee restored protection for six-day delivery to a funding bill, the California Republican tried to employ a parliamentary maneuver to derail the measure. In a message to House Rules Committee Chairman Pete Sessions (R-TX), Issa claimed jurisdiction over all issues related to the Postal Service, and asserted that the six-day delivery provision should be subject to a House Rule that prohibits “legislation” in general appropriations bills. “Rep. Issa’s complaint would be comical if it wasn’t such a serious attack on the people’s Postal Service,” said Legislative and Political Director John Marcotte. “In addition to protecting six-day delivery, the appropriations bill reverses the District of Columbia’s laws on marijuana possession, dictates how its locally-generated tax monies can be used, and takes away health care choices for women in the district. “No matter how you feel about these issues, the irony is that they all fall under the purview of the Oversight and Government Reform Committee. 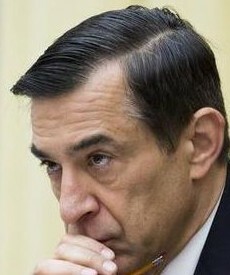 But Rep. Issa didn’t let out a whimper of protest against these examples of ‘legislating’ via the Appropriations Bill. The hypocrisy is stunning but not unusual for Mr. Issa,” Marcotte said.